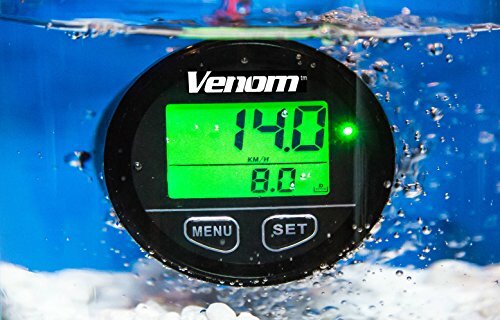 New premium Venom brand WATERPROOF 12-24v backlit GPS speedometer / volt meter / clock. Our new version worked in a glass of water for over 24 hours & still works perfectly, it also comes with a pre-assembled wire harness. Completely self contained with an internal GPS antennae.